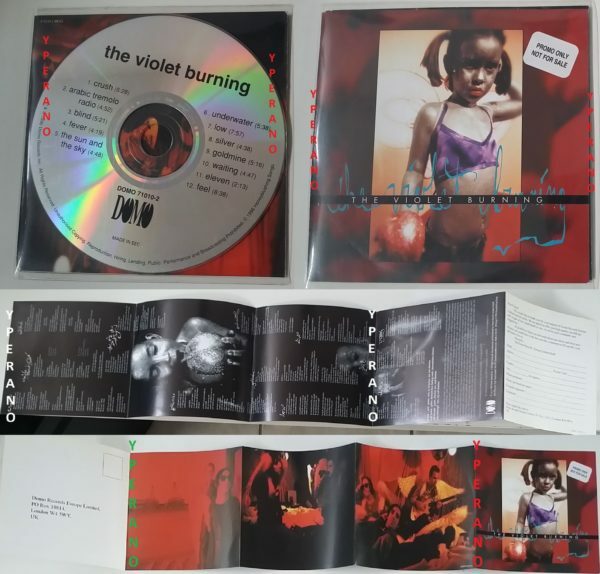 Home / Search by Media Type / CD / Violet Burning: The Violet Burning CD 1996 Promo Domo. Check audio. Great Alternative Rock. Super singer and production. 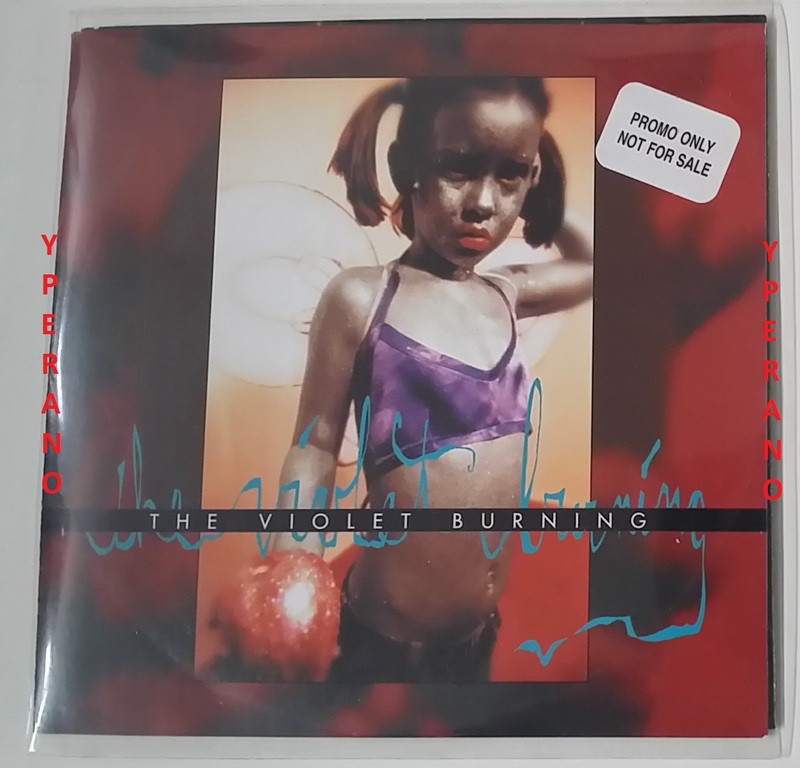 Violet Burning: The Violet Burning CD 1996 Promo Domo. Check audio. Great Alternative Rock. Super singer and production. Phonographic Copyright (p) – Domo Records, Inc.. Copyright (c) – Domo Records, Inc. 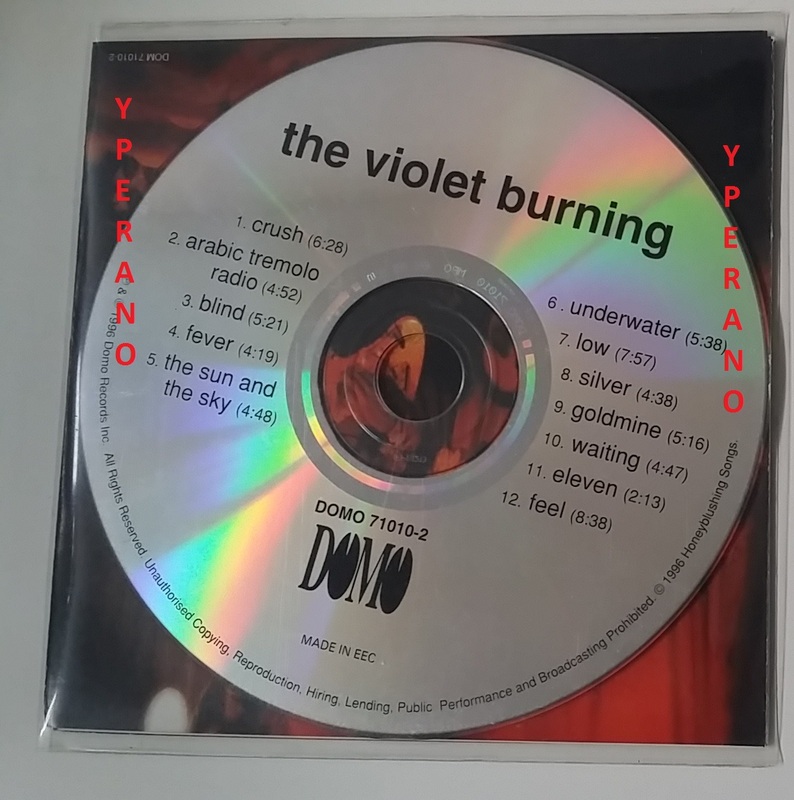 Recorded in June & July 1995 at El Dorado. The Violet Burning is an independent American Christian alternative rock band based in Boston, Massachusetts. The band was formed in 1989 in Orange County, California by Michael J. Pritzl. The band is the project of singer, songwriter and guitarist Michael J. Pritzl. Their first album was released by Vineyard Music with subsequent recording release on independent labels such as New Breed, Domo Records, Ruby Electric, Northern Records and directly to fans. They have toured North America and Europe multiple times and managed to sell over 100,000 albums.